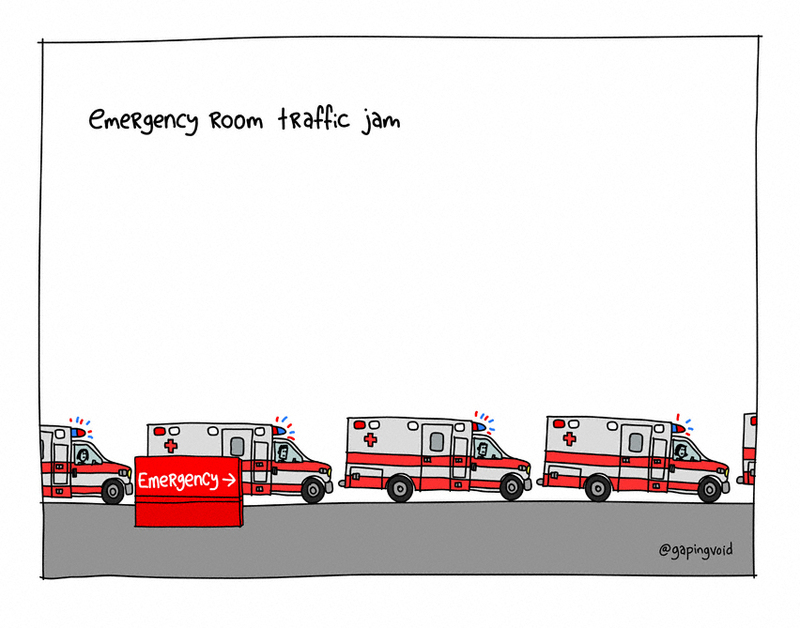 As hospitals and staff are overwhelmed with an influx of patients, overcrowding and long wait times continue to be problematic as hospitals struggle to get patients in and out of the ED. Using creative strategies to design flexibility into the built environment, hospital EDs can optimize operations and improve throughput while continuing to put the patient first. To View a Complete List of Toolbox Contents and Resources, Click Here. These design strategies have been identified in the current evidence-based design literature as supporting efficient emergency department (ED) throughput. These are best reviewed at the very beginning of a project to assess the “fit” of each strategy within your unique ED organization. Design teams should work with ED leadership to ensure that these goals are integrated into the final design. Learn about: ED metrics related to the Patient Protection and Affordable Care Act, innovative strategies to reduce crowding, minimize wait times, and maximize care quality in the Emergency Department, and how the design of the built environment in the Emergency Department can best support strategies for improved throughput. As part of the ED throughput toolbox, in this issue brief you will learn about ED metrics related to the Patient Protection and Affordable Care Act, innovative strategies to reduce crowding, minimize wait times, and maximize care quality in the Emergency Department, and how the design of the built environment in the Emergency Department can best support strategies for improved throughput.